This article is 340 days old. 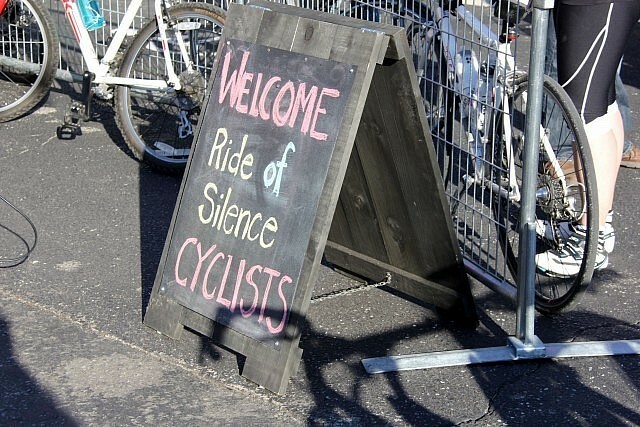 The 10th annual Ride of Silence takes place this evening. Every year, cyclists take to the roads in a slow, silent procession to honour cyclists who have been hurt or have died due to a collision while cycling on public roadways. Last year 140 riders participated in this solemn event. Starting at 7pm, riders will leave the parking lot of The Good Neighbour Restaurant Parking Lot on Wyandotte Street East. Riders will ride in silence behind a hearse, a second hearse will bring up the rear. The presence of the hearses underscores the dire consequences that can occur when motorists are inattentive, when they don’t follow the rules of the road, when they don’t give cyclists at least 1 metre of space. themselves have been in a collision while riding. Helmets are mandatory for riders under the age of 18, and bike lights are mandatory for all bikes. making Windsor-Essex a more bike-friendly region.